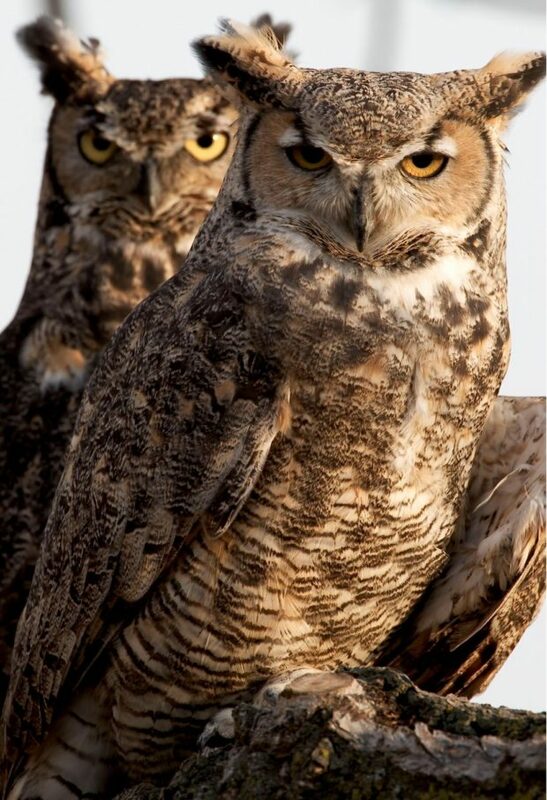 Creating Space to Grow | The Equine Connection Coaching Services Ltd.
We have spent weeks watching two great horned owls tend to their nest. One day, after a strong wind, one of the owlets could be seen sitting on a lower branch of the tree where the owls nested. She had either fallen out of the nest and been lucky to land on a branch, or started daring to fly. More wind led to her sitting on the ground looking like a big, grey ball of fluff with two expressive, winking eyes. Her parents were very visible and present. Each sat on separate, nearby trees, constantly watching their baby. At night they would feed her, and if we tried to get too close to the owlet, one of the parents would click at us in an assertive tone. Warning us to mind our own business. We wondered why these powerful parents did not scoop up their young one and put her back in the nest. While there may be a physiological explanation of why they did not do this, I realized that the parents were simply doing the real job of parenting a pre-teen/teen child – that is, being available for support and advice, but not rushing in and rescuing. Each day, the owlet would be somewhere else. She seemed to walk in a shuffling manner. At some point she managed to get herself into the bushes and was no longer visible to us. The parents continued watching, setting boundaries, creating foundational safety. In the evening, they would feed the owlet, who called for food. I imagine the owl parents were very concerned, and even, maybe, anxious about the fate of their child. It is very painful to watch your children suffer. 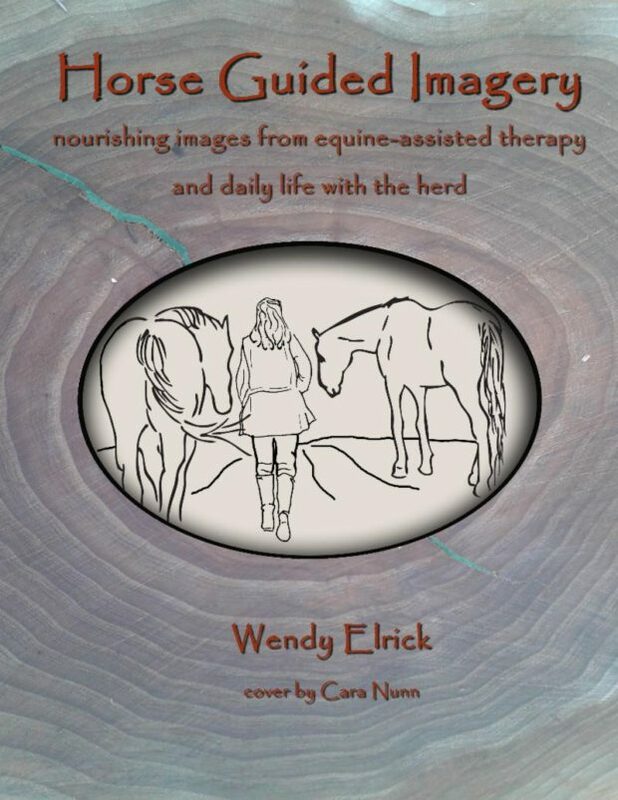 However, when we run in and rescue them, we inadvertently give them the message that they are not capable of negotiating suffering, which can lead to them developing anxiety. We have to trust that we did a good enough job the first twelve years of their lives. We have to trust that they have the foundation to venture into the world and make a life for themselves. The owl parents created a safe space for their child to negotiate her fall out of the tree. They held a protective boundary from dangerous predators, fed their young one, and talked to her. And, that is all they did because they know that the owlet has the innate ability to venture into the world. They were mostly silently present. They held space for the young one to create her own life. Doing nothing in a conscious, ritualistic manner is a prerequisite to be able to create. Mother Earth knows this. Her dormancy Winter long is followed by an abundance of creation in the Spring. We too can be silently present for our own creative expression. By each day spending time in silence, doing nothing, something happens deep inside us. Perhaps a lining up of ideas, or the concocting of a project… This time prepares our systems to step into action and create. 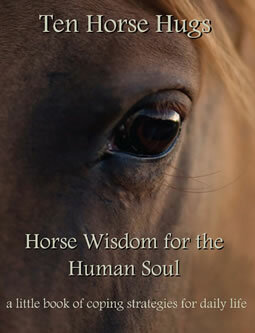 Maybe this is why the horses spend hours doing nothing. They understand that this doing nothing has a function. The function of energetic preparation, of timing, of being the engine of creation.